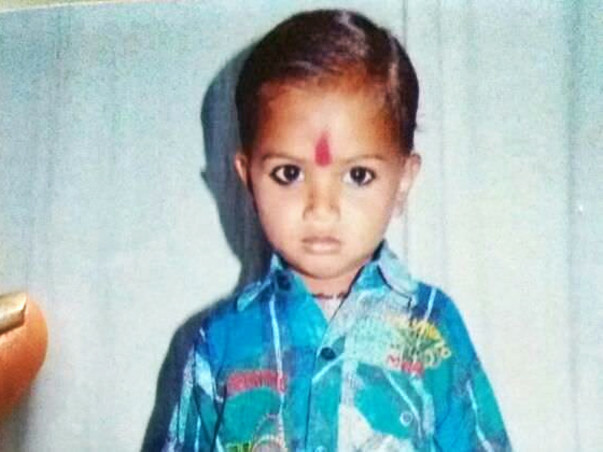 As far as his parents can remember, 7-year-old Aditya has been fighting cancer throughout his life. 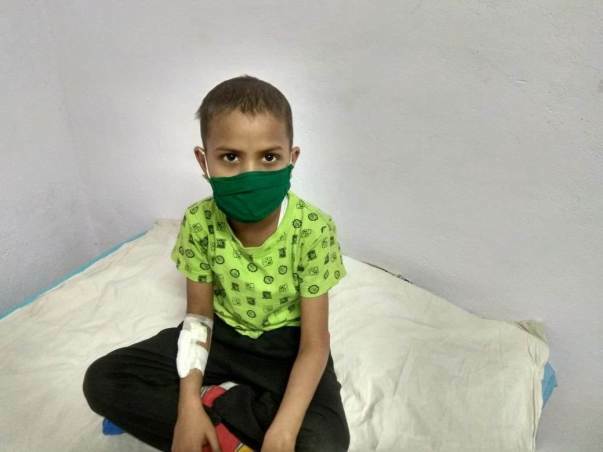 In an age where he should be in school, cooking up new trouble every day with kids his age, Aditya spends most of his days lying on a hospital bed, waiting to ward off the onslaught of complication that comes with aggressive cycles of chemotherapy. "We first got to know about his cancer when he was 3 years old. He had a fever and we took him to a local doctor. Eventually, tests were done, and we were advised to take him for a biopsy. 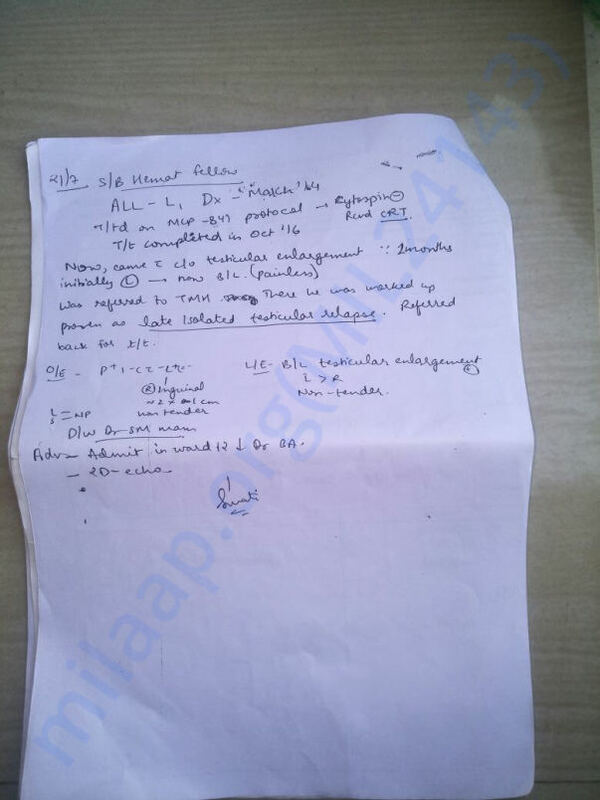 The result of that test report changed our lives", said Aditya's father, Bhagchand. 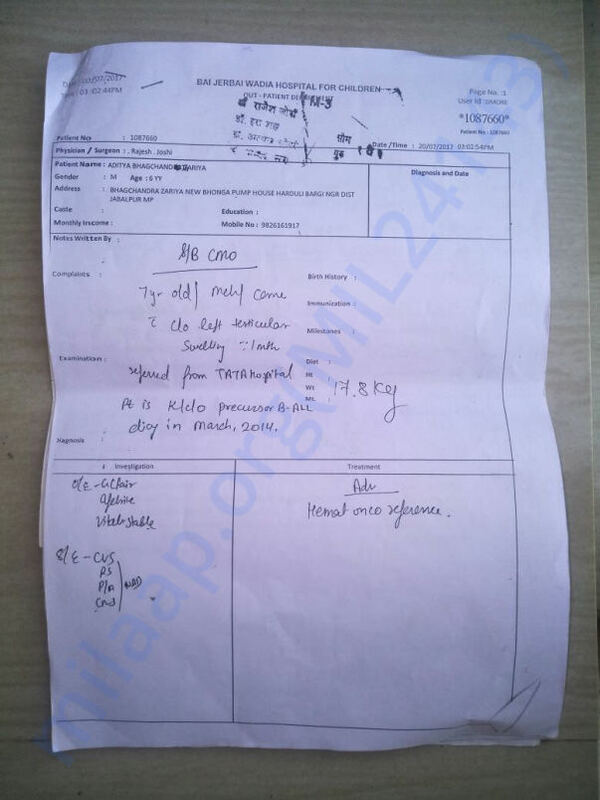 The test reports confirmed that Aditya had a severe form of blood cancer and after the diagnosis in the year 2014, Aditya was put on chemotherapy. After months of suffering and seeing their child live with the painful side effects of treatment, the family finally got a good news. Aditya was free of cancer and could finally look forward to a better life. But all that hope was cut short in the July 2017 when Aditya's cancer came back with vengeance. "His symptoms became more severe than what was previously. Most days, he would hardly get out of bed. That's when we decided to finally take him to Mumbai for treatment. We took him to Tata but were rejected treatment", says Bhagchand. "Should've Brought Him To Mumbai In The First Place"
After being refused treatment in Tata Hospital, Bhagchand took his son back home. 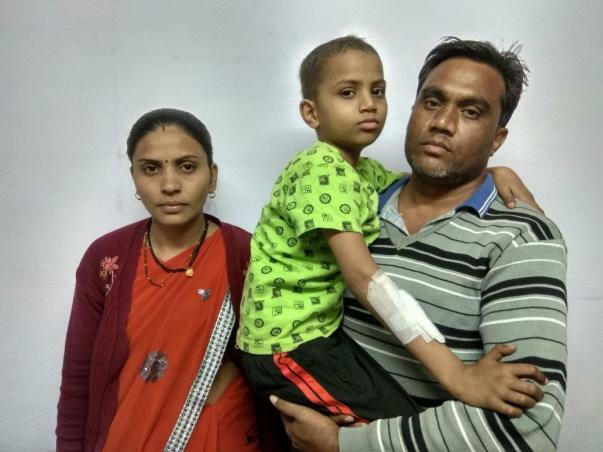 Upon his friends' insistence, he decided to give hospitals in Jabalpur another chance and hoped that his son would get better. But as luck would have it, nothing positive came out of it. "I had no money so I took him back to Jabalpur. I was already broken beyond hope after I got to know about his cancer, that when few of my friends suggested getting treatment in Jabalpur itself, I didn't think twice about it. It was the worst decision of my life. The hospital there, after admitting Aditya for a month and emptying our bank account, left my son to fend for himself. How can a father see his son die in front of his eyes? I had no other option than to bring him back to Mumbai", recalls Bhagchand. Aditya finally started his treatment at Wadia hospital, Mumbai. As of now, he is planned for 12 cycles of chemotherapy, with the majority of them being hard chemo. He's completed 9 cycles thus far. Further course of action will be decided by the doctors once his entire course is over. So far, Aditya is showing positive signs of recovery. 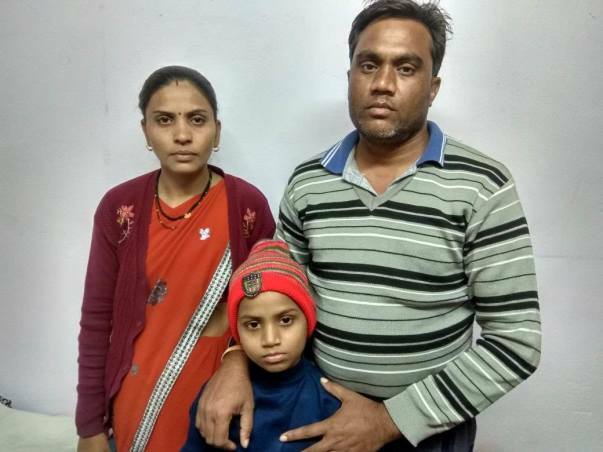 Aditya parents, Bhagchand Jhariya and Sashi Jhariya are from Jabalpur, Madhya Pradesh. Apart from Aditya, they have a 9-year-old elder son, Praveen Jhariya. Bhagchand is a daily wage laborer and owing to his son's condition, he hasn't been able to work since July 2017. Sashi is a housewife. They live with Aditya's grandmother. 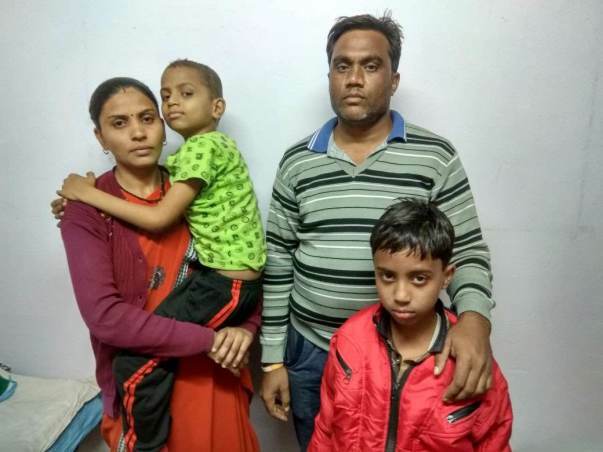 As of now, Aditya, along with his parents and brother is in Mumbai, is getting treatment at Wadia Hospital. "There hasn't been any income for past 6-7 months. My elder son had to leave school and come to Mumbai as he wasn't comfortable being away from his parents for such a long time. Everything is so expensive in Mumbai. We live in a rented apartment and have to pay for our food. Whatever little we have gets over in feeding our stomachs only. How do we save our son now? ", Bhagchand questions. 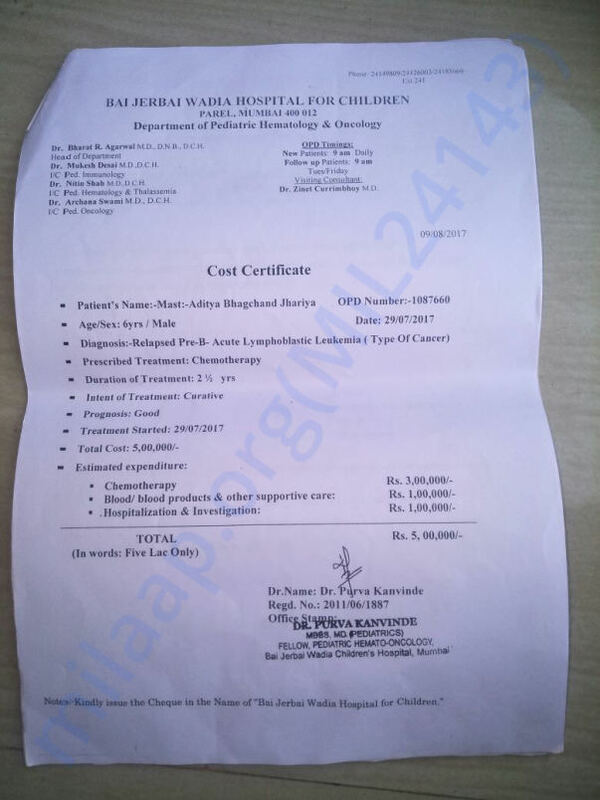 So far, the family has already spent close to Rs 5 lakh towards Aditya's treatment. Now they have to arrange for additional Rs 5 lakhs. Without the stipulated amount in their hands, they will be left with no other option than to take their son home. Aditya is only 7-years-old and has his entire life in front of him. Suffering since past four years, cancer continues to take his childhood away while he fights for his life. His parents are desperate to save their youngest child but having spent all their life savings over the course of past four years, now they are left with no money to fight with. Your contribution can help Aditya live. Funds raised through this fundraiser will go towards his treatment. I hope your son recover fast. All our prayers are with you.